Glen Hansard (born 21 April 1970) is an Irish songwriter, actor, vocalist and guitarist for Irish group The Frames, and one half of folk rock duo The Swell Season. He is also known for his acting, having appeared in the BAFTA-winning film The Commitments, as well as starring in the film Once, which earned him a number of major awards and nominations between 2007–08. Hansard quit school at age 13 to begin busking on local Dublin streets. 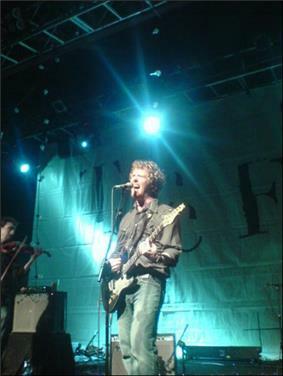 He formed his own band The Frames in 1990, and the group have been gigging regularly in Ireland since. Hansard came to international attention as guitar player Outspan Foster in the 1991 Alan Parker film The Commitments, after attending the New York Film Academy School of Acting. He has often stated that he regretted taking the role, because he felt it distracted him from his music career. In 2003, he presented the television programme Other Voices: Songs from a Room, which showcased Irish music talent on RTÉ. On 22 April 2006, he released his first album without The Frames, The Swell Season, on Overcoat Recordings in collaboration with Czech singer and multi-instrumentalist Markéta Irglová, Marja Tuhkanen from Finland on violin and viola, and Bertrand Galen from France on cello. Hansard also spent part of 2006 in front of the cameras for the music-infused Irish film Once, in which Hansard plays a Dublin busker, and Irglová an immigrant street vendor. The film had its American premiere at the Sundance Film Festival in 2007 and received the Festival's World Cinema Audience Award. During the promotional tour, he and Irglová began dating. Said Hansard about his relationship with Irglova: "I had been falling in love with her for a long time, but I kept telling myself she's just a kid". Hansard had recorded a version of Bob Dylan's "You Ain't Goin' Nowhere" for the film I'm Not There in 2007. In 2009, Hansard said that he and Irglova were no longer romantically linked, and that they are now "good friends". 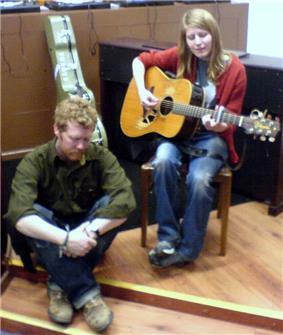 Aside from his projects with The Frames and Irglová, Hansard also took part as a member of the band on the 2006 Oxfam charity album, The Cake Sale. Hansard has recorded several cover songs, both alone and with band member Colm Mac Con Iomaire, for the Today FM discs Even Better than the Real Thing. Songs that he has recorded include Justin Timberlake's "Cry Me a River" on Even Better than the Real Thing Vol. 1 and Britney Spears' "Everytime" on Vol. 2. In the summer of 2011, he joined Eddie Vedder on his American solo tour in support of Vedder's solo album, Ukulele Songs. He also played his own solo concert at the opening of New York's Metropolitan Museum of Art Guitar Heroes exhibit in May and on Cape Cod at the Cape Cinema on 17 June. On 3 or 4 September 2011, he played at Pearl Jam's 20th Anniversary Festival PJ20 at the Alpine Valley Theatre outside of East Troy, Wisconsin. Hansard plays several guitars, including a very recognisable battered Takamine NP15 acoustic guitar (even sporting a large hole), which he calls "The Horse". American Songwriter included Hansard's "Love Don't Leave Me Waiting" on its The Muse July Sampler. Hansard sang the song "Take the Heartland" on the soundtrack for the 2012 film The Hunger Games. Another song he wrote, "Come Away to the Water", is also featured on the soundtrack, but is covered by Maroon 5 and Rozzi Crane. Hansard can be found singing "Come Away to the Water" on the deluxe edition of his first solo album Rhythm and Repose. Hansard guest-starred in an episode of the TV series, Parenthood, playing himself. In the episode, "Trouble in Candyland", he performed "High Hope", a single from his solo debut Rhythm and Repose. Hansard has remarked about his musical influences: In my house, when I was a kid, there was the holy trinity, which was Leonard Cohen, Van Morrison and Bob Dylan with Bob sitting center." Hansard and The Frames toured as the support act for Bob Dylan in Australia and New Zealand in August 2007 and Hansard often performs Van Morrison's songs in concert. Two such songs include "Into the Mystic", and "And the Healing Has Begun" which were included on the collector's edition of the soundtrack for the film Once. It's Just A Band A 56-minute documentary on 'The Frames' (2005). ^ "Glen Hansard". IMDb profile. IMDb, The Internet Movie Database. 2010. Retrieved 5 May 2010. ^ "Awards for Glen Hansard". IMdb. 2010. Retrieved 5 May 2010. ^ Divola, Barry (29 August 2007). Once' in a Lifetime"'". EW.com. Retrieved 24 August 2011. ^ Jamie Diamond (24 February 2008). "Life imitating art". The New York Times. Retrieved 24 February 2008. ^ Spines, Christine (22 June 2007). Once' a Hero"'". Ew.com. Retrieved 12 September 2009. ^ Master of excellence (26 January 2009). "falling slowly ... out of love". Independent.ie. Retrieved 12 September 2009. ^ Young, Alex (10 July 2009). "The Swell Season shares a bit of Strict Joy". consequenceofsound.net. Retrieved 25 July 2009. ^ "Glen Hansard and Guitar Heroes". The Metropolitan Museum of Art. May 2011. Retrieved 12 December 2011. ^ "An Evening with Glen Hansard". Cape Cod Today. 17 June 2011. Retrieved 12 December 2011. ^ "The Horse". Takamine Guitars. Retrieved 24 July 2012. ^ Ragogna, Mike (23 December 2011). "A Pomegranate & Billy Jack: Conversations with Once's Marketa Irglova and honeyhoney". Huffington Post. ^ "Folk Pop Music - Glen Hansard Announces Solo Debut, Rhythm...". Facebook. 2012-04-04. Retrieved 2015-10-24. ^ "Free Download: The Muse July Sampler". Free Download: The Muse July Sampler. 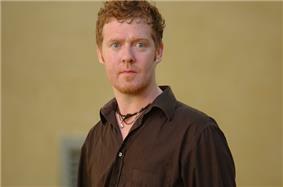 ^ "Glen Hansard to guest star on Parenthood tonight". The A.V. Club. Retrieved 5 December 2012. ^ "Dylan support slot a dream come true". Smh.com.au. 15 July 2007. Retrieved 12 September 2009. ^ Once" star becomes a Hare Krishna""". IrishCentral.com. 2009-04-01. Retrieved 2015-10-24. ^ "Parenthood: Season 4, Episode 10 : Trouble in Candyland (3 December 2012)". IMDb.com. Retrieved 2015-10-24.
from the 2004 album "Burn the Maps"
from the 1995 album "Fitzcarraldo"
In July 2015, he performed "Raglan Road" with Ed Sheeran in Croke Park, Dublin. In July 2013, he sang with Bruce Springsteen at Nowlan Park, Kilkenny in Ireland.